From raspberries to their hybrids such as; tayberries, tummelberries and boysenberries, blackberries, gooseberries, redcurrants, blackcurrants, runner beans, we have tried growing the lot, some more successfully than others. We have grown several and many people do not even realise the number of varieties there are. Some varieties have been developed for yield, or robustness, or flavour. When we choose a variety to grow, our primary concern is flavour and natural resistance to disease. Some varieties we have tried and found unsuccessful and others have flourished. We have grown summer, mid summer, and autumn raspberries. 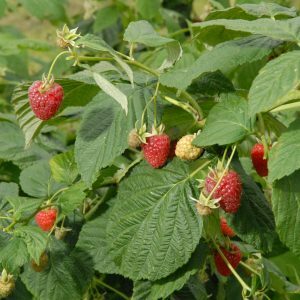 By having raspberries ripening at different times from July through to October you ensure that you insure yourself against the unpredictable English weather. The varieties we have tried are; Glen Ample, Tulameen, Octavia, Autumn Bliss, Autumn Gold, Joan J, and Himbo Top. Each year new varieties become available. 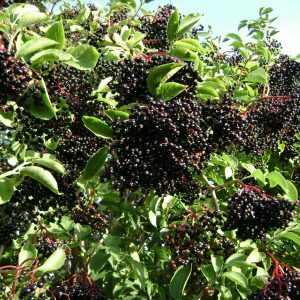 Tayberries, Tummelberries, Loganberries, Boysenberries, Sunberries, so name a few, are all Blackberry/Raspberry crosses, but each unique in flavour, colour and appearance. 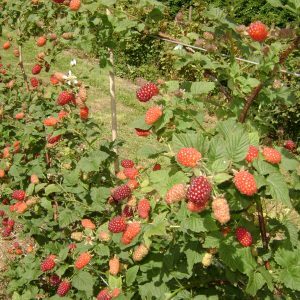 The Tayberry is similar to the Loganberry, a more elongated shape to the raspberry and much deep in colour and flavour. We grown two varies of Tayberries, one is very spikey and one thornless, they each have their own attributes. The Tummelberry is round and fat, very juicy and incredibly spikey. It is a very dark red/purple colour and has an almost scented flavour, absolutely delicious. These two berries go with the raspberries to make our Waterhouse Harvest Jam. If you were a wine buff, you would describe the jam as ‘full bodied’! 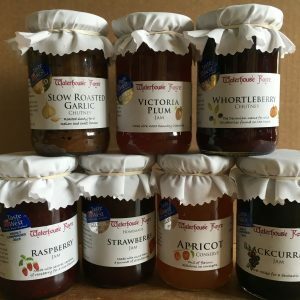 It is really rich and makes a wonderful alternative to Strawberry Jam on a cream tea. 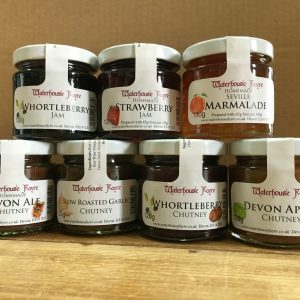 If you would like to treat yourself to a cream tea with this jam, then you need to visit The Old Forge in Chagford. We have tried two varieties for our Blackberry & Apple Jam; Black Butte and Lochness. The Lochness wins hands down. We grow one variety and use only one variety in our jam, Ben Tiran. 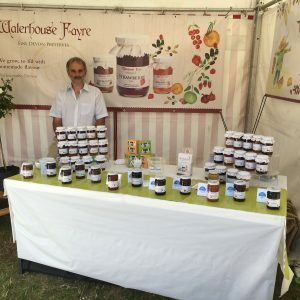 Stocks are topped up with some from a local Blackcurrant grower in the Blackdown Hills, near Wellington in Somerset and Mr Snell from Herefordshire. We grow an early variety, Jonkheer van Tets, and a later fruit one, Rovada. This should ensure we have some redcurrants regardless of the weather. The very popular and traditional Invicta is the one we use in our jam. 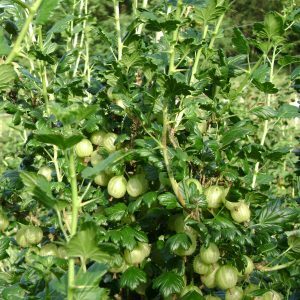 Most of these gooseberries now come from a local fruit grower, Runnington Fruit Farm near Wellington. We grow a stringless variety. The flavour is lovely but they are not commonly grown on a commercial basis because the beans are far from straight! However, they are ideal for our Runner Bean Chutney. We buy two varieties of plums; Victoria for our jam and President for our chutney. These are both produced by a leading grower in South Somerset, New Cross Fruit Farm, as are the damsons and apricots. A side line of a speciality apple producer, Charlton Orchards, again in Somerset, which I turn into jelly and jam. This fruit is available from Mid September for a few weeks only. I also make a quince paste for Country Cheeses in Tavistock, Totnes and Topsham, but you would have to be quick to get this as stocks do not last long!